Zenia and I am a Quilter! 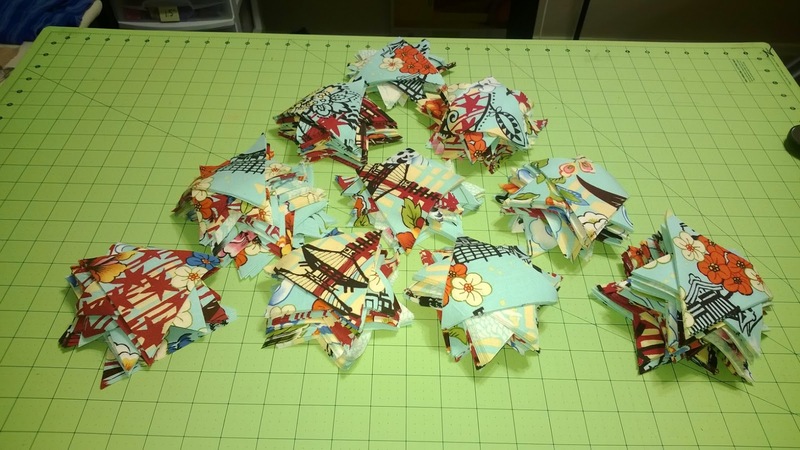 I’ve been quilting for 2 yrs and am just recently inspired to blog about it. It’s kind of odd because I’ve never cared for writing much but I am quite passionate about quilting so I’m sure I’ll have a lot to say about it! I’ve made 20+ quilts over the last 2 years and I plan to post all of my pics on here eventually. Someday I may write up some tutorials but until then, I’ll be posting about projects I’m working on and hopefully pass on some tips and tricks that have helped me a long the way. 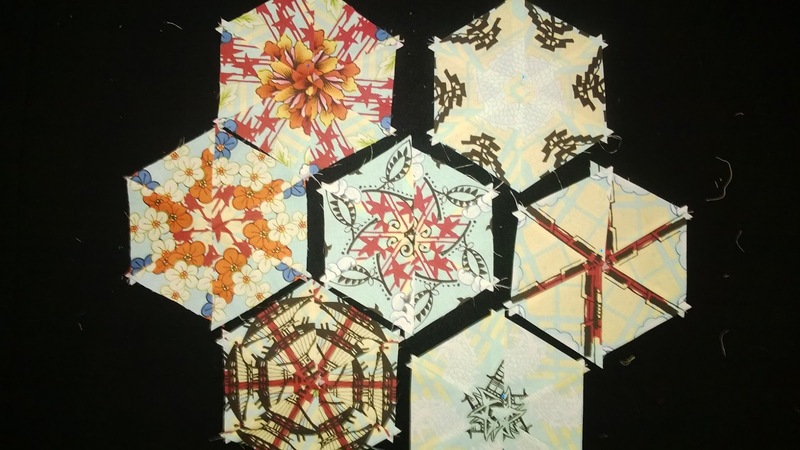 I’m currently working on a kaleidoscope quilt inspired by Maxine Rosenthal’s book, One Block Wonders,( I prefer to call them one bolt wonders). It’s my 2nd one using this technique. 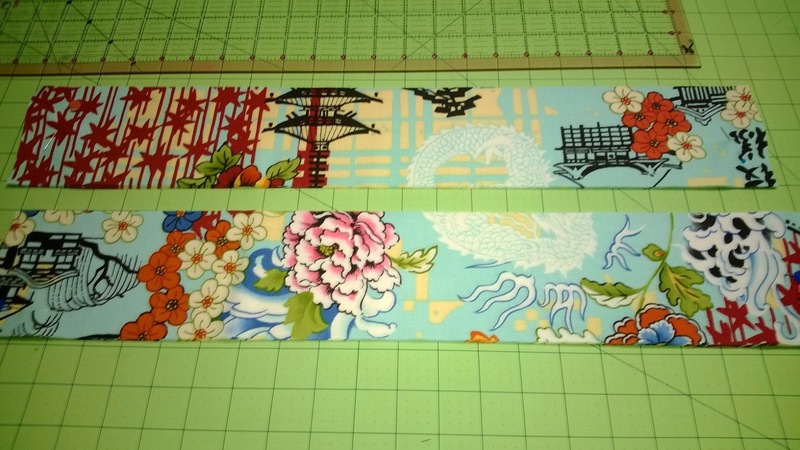 I am using a fabric called “koto” by Alexander Henry. 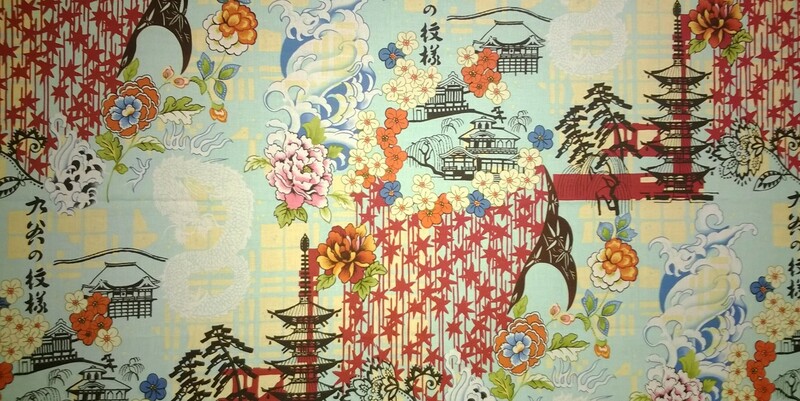 I fell in love w/ this fabric about a year and a half ago but I couldn’t bring myself to buy it at $12.99/yd. So I put it off and put it off until finally one day I was browsing the Red Tag section at Joann when all red tag was 50 % off and guess what?!! It was there!!! I ended up paying something ridiculous like $3.50/yd! Needless to say I bought all they had which ended up being about 8 1/4 yds. I plan to make 2 quilts for my bed. One for Spring/Summer and another for Fall/Winter. This shall be my Spring/Summer quilt which I hope to have at least the top finished by this December. The quick short version of this technique is. Cut into strips. I did the suggested 3 3/4 inches. Because the fabric is stacked up w/the same design element lined up, you end up w/6 identical triangles. 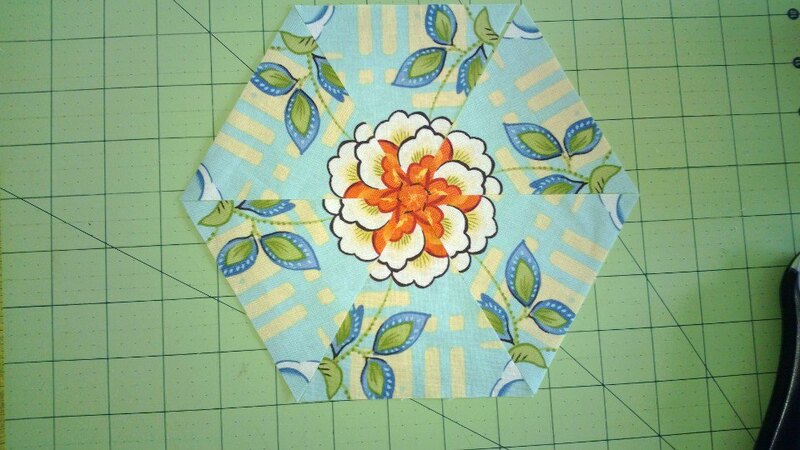 You then sew the 6 triangles together to make some awesome hexagons! So this is what I have so far. I will be back again w/my progress. I bought this same fabric at Joann's when Red Tag was 50% off! But I only bought enough to make a bag out of it! Isn't it gorgeous?! I luv Alexander Henry!